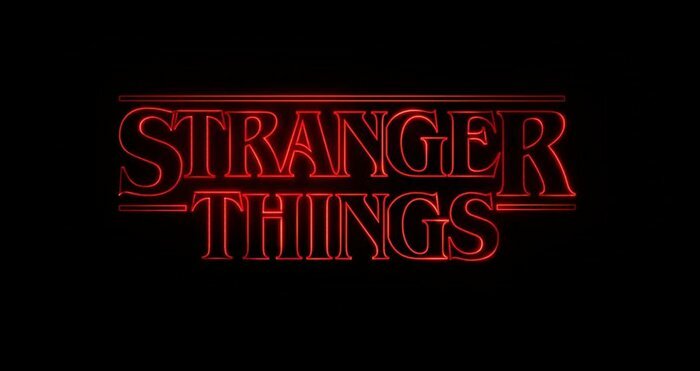 Created by the Duffer Brothers and highly influenced by the works of Stephen King and John Carpenter, the show starts from an odd disappearance of a little boy and the discovery of a suspicious government lab, grotesque faceless lone creature and the appearance of a stoic little girl in a small Indiana town in 1983. It is a complete cliffhanger yet fast-paced, I gorged on all eight episodes in two days. Stranger Things is packed with a fantastic voyage through ‘80s design influences, of which we are going to discuss. 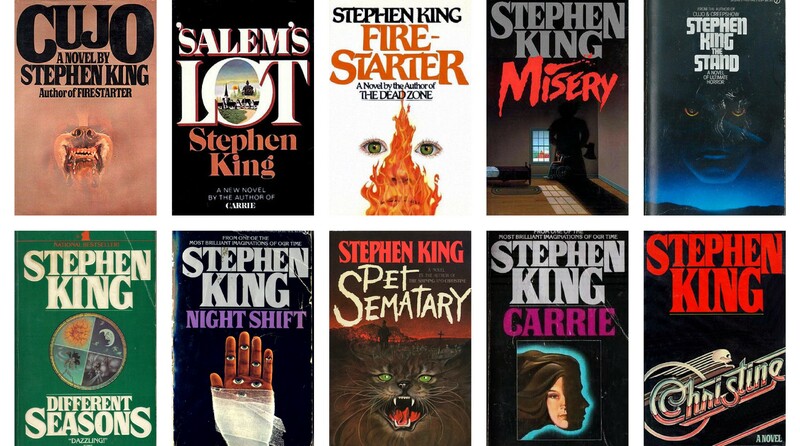 From Sarah Gless’ post, a relevant overview of Stephen King covers which could have influenced the direction for the Stranger Things title design. In addition to Stranger Things, ITC Benguiat typeface is also used in the following logos, movie posters or album covers, including Chariots of Fire, Seventh Son,Black Robe, Melbourne Knights FC, The Last Station, Distant Relatives, Sea of Monsters, Flowers in the Attic. Passionate fans have started comparing the series’ scenes with those of classic films, finding that its creators even duplicated specific shots from E.T., The Goonies, and Alien. If you’re as madly in love with Stranger Things as I do, you may want to check out some of its influences, including Firestarter, Close Encounters of the Third Kind, Poltergeist and The Thing. 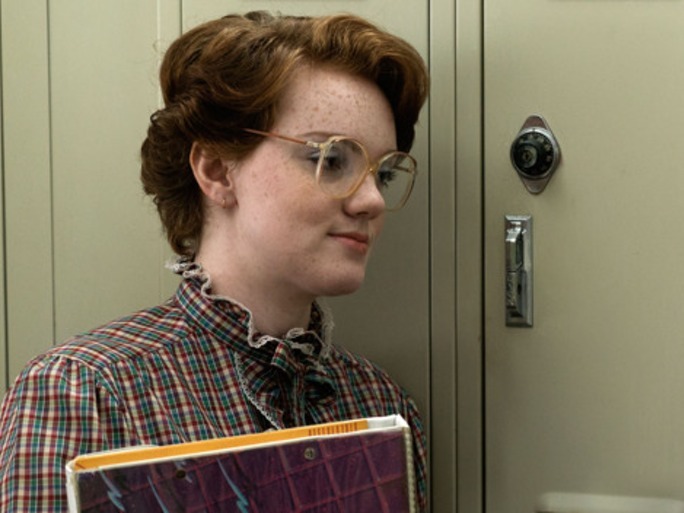 For children of the ’80s, many of the props in Stranger Things were immediately recognizable. Lynda Reiss, the veteran prop master for the series was tasked with wrangling a slew of period-correct gear for the Netflix series, from the boomboxes to the bikes to the cans of pudding. To get the amazing ’80s stuff, Reiss scoured eBay, flea markets, prop rentals, and estate sales in Georgia. Reiss says bikes may have been the hardest props to get because she needed 16 in all: Each boy had one primary bike, a backup, a stunt bike, and a backup stunt bike. It’s nearly impossible to find that many identical bikes from the ’80s. They don’t make chocolate pudding in cans anymore, so they used cans of Vienna sausages and luncheon meat, then slapped replica chocolate-pudding labels on them. 1983 was where the era of mixtapes, landlines, children actually playing outside as well as ’80s fashion galore! There’s a good deal of striped polos, plaid skirts, turtlenecks. You can’t forget the muted color palette either — every episode had characters decked out in mustards, browns, and oranges. 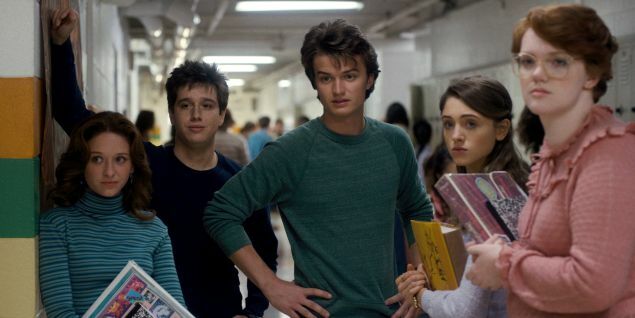 Steve in the series is the classic cool kid; he drinks, his parents go away on a Tuesday leaving the house free for parties, and hook-ups. His hair is also at a height Jean-Ralphio Saperstein would be envious of and he has a whole load of smooth lines at his disposal. You can read more on Stranger Things and the style of growing up in this Observer Culture article. Here’s also a guide on how to dress like the characters in Stranger Things without looking dated, if you are into it. 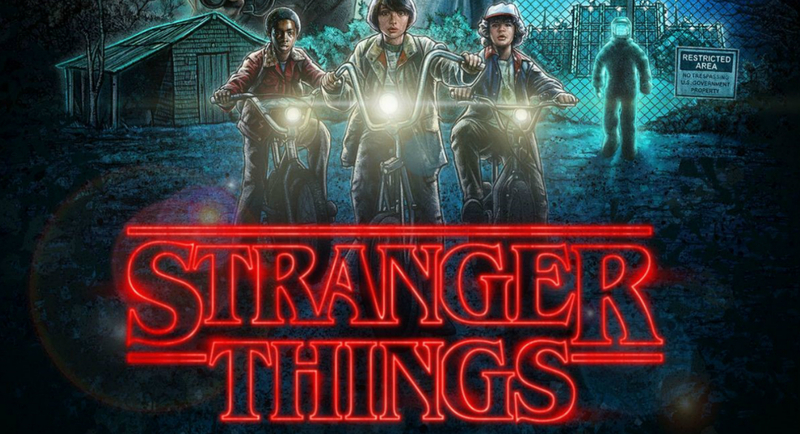 Watching Stranger Things immerses you in the sounds and the soundtracks of the ‘80s. The Clash’s Should I Stay or Should I Go is a repeated theme here, and other nuggets such as New Order’s Elegia and Modern English’s I Melt with You encapsulate key scenes. But the musicians who really set the tone for Stranger Things are Kyle Dixon and Michael Stein of the Texan synth band S U R V I V E. The duo has been bringing moody synth soundscapes to life since 2008. Their music already contains a bold cinematic quality, their records pulsing with droning hums and glitchy outbursts over layers of icy melodies. But they didn’t land their first Hollywood opportunity until they were approached about licensing two songs off their eponymous full-length record for the 2014 thriller The Guest. For Stranger Things, the Duffer Brothers hired Dixon and Stein to write all original music. The biggest challenges to creating the soundtrack was to to avoid ’80s musical cliches while staying true to the period, as had been instructed by the producers offer a delicate balance. “They just didn’t want the music to really put it over-the-top and make it too much,” said Stein.